The world of medical science over the centuries inadvertently created an underclass of criminals. The need for cadavers for anatomical study led many entrepreneurs to develop and work a trade known as "grave robbing". Grave robbers have been with humanity for millennia. Almost all the ancient tombs of the Egyptian pharaohs were plundered and stripped of their valuables long before modern archaeology re-discovered these resting places. The only reason King Tut's tomb was such a find in the 1920s wasn't because he was such a great or well-known Pharaoh. Tutankhamen's claim to fame rested solely on the fact that, although his tomb had been half-heartedly robbed shortly after his interment, the bulk of his nether world estate (jewels, statues, chariots, etc., that the Egyptians felt he needed in the afterlife) was intact. And it was the wealth of knowledge gained from the artifacts left that secured Tut's place in history, not his own personal "greatness". Another classic case of grave robbing for profit (and perhaps of necessity) involved the earliest New England settlers in America, the Puritans. These people found an Indian burial site near the place they established as Plimouth Plantation. These sainted founding fathers and mothers plundered these graves for their material goods – baskets of stashed corn seeds, pottery, clothing items, and tools. This is a seldom remarked upon event in Colonial American history, certainly ignored by those who wish to sanctify the Puritans. But they robbed Indian graves routinely, and these abhorrent actions are part of America's history. Ancient medical practitioners occasionally had cadavers available for dissection from which they drew inferences about human bodily functions. Refinements in human understanding over the centuries are what allowed Leonardo Da Vinci, for example, to work up his classic studies of human musculature for artistic and anatomical studies. Da Vinci had the luxury of working with real corpses. Almost all societies have shunned grave robbing as a crime. For the typical grave robber, the corpse was of no value. It was the clothing and perhaps jewelry and other items found in graves that lured criminals to dig up the dead. These were typified as property crimes and were treated as such by the civil authorities. Many societies, however, needlessly sanctified the dead to such a degree that vivisection for any purpose, even for furtherance of medical knowledge, was made illegal. Some corpses were made available, but these were rare – England offered up its executed criminals to medical schools for study aids. However, as time passed, the demand for more and more cadavers, as medical knowledge expanded and the profession became less of an ad hoc "skill" and more codified in procedure and ethics, far outpaced the limited supply The Crown provided with executions. Thus, the classic "resurrectionist" of many a Gothic horror novel and Grade-B suspense movie was born. The discreet need for cadavers for medical schools spawned a ghoulish industry that thrived from the mid 1700s up until the latest years of the 19th Century. Human organs, individually "preserved" in bottles and jars of wine, fueled a lucrative black market. Whole, fresh corpses brought more money from the "don't-ask-don't-tell" medical schools, and they were the most prized. Rings of professional resurrectionists operated near medical colleges and universities. These worked clandestinely at night in organized bands of procurers, brokers, and diggers. These operations followed local deaths closely – the most desirable corpses were mature, but young enough to have relatively healthy organs for study. Diseased people were also useful for the study of pathology. These criminals greased the local palms of authorities to avoid prosecution. They also robbed graves effectively, leaving little trace of having done so. Edinburgh, Scotland's capital, boasted one of the world's best-known medical colleges, the University of Edinburgh. This school attracted much attention for its scholarly course work and cutting-edge classroom instruction. [It is from this prestigious institution that Sir Arthur Conan Doyle – the creator of Sherlock Holmes – received his training as a physician from 1876 through 1881]. However, as with almost all medical schools, it needed cadavers. Although it received some through proper channels (people who may have willed their bodies to science or the occasional executed criminal) the school's crying need for more fresh corpses meant dealing in illegal body trafficking. Body snatchers appeared wherever that need arose. Into the abject squalor of one of Edinburgh's worst slum areas two entrepreneurs in the cadaver-supply business took up residence. William Burke (born in Ireland in 1792) and William Hare (born also in Ireland in either 1792 or 1804, there is disagreement and a lack of proper records to confirm which date is correct) Credit: public domainwere meant for each other. Burke worked variously at a number of trades: weaver, baker, and cobbler, never sticking to one long enough to make a real go of it. He also worked as an officer's servant in an Irish militia group for about a year; when he was 19 the officer died, and Burke joined the Donegal Militia. He married, and although he and his wife spawned seven children almost none lived to adulthood. By 1817, there were only two children left. Burke left his wife and two children and emigrated to Scotland. There he got work as a navvy on the Union Canal; the term "navvy" is short for "navigator", but Burke's job was nowhere near as lofty as that of a navigator. 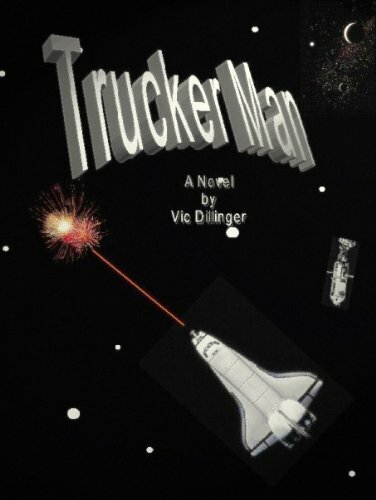 He worked as a laborer: loading, hauling, digging, and fetching. He wrote to his wife in Ireland to come join him in Scotland – she refused. Burke was literate (could read and write), and he was apparently charming, with an outgoing way. He met a part-time prostitute named Helen M'Dougall through his work mates. Helen had two children, had left her lawful husband, and was living with another Credit: public domainman when she met Burke. She was as generally destitute as him, but the two formed a pair. They took up selling bric-à-brac on the road leaving Edinburgh for a period, returning in 1827. In Ireland, Burke's future partner-in-crime, William Hare, was chiefly engaged in driving the horses a canal-lock keeper named Hall used in tugging lighters (flat-bottomed, unpowered barges) along an Irish canal. Hare was described as having a "ferocious and malignant disposition"; he killed one of Hall's horses in a rage, and fled to Scotland to avoid prosecution. He quickly found a job on the Union Canal, and he also sold fish from a cart. He moved to Edinburgh where he met a man named Logue. Logue ran a boarding house in a rough part of town, but Hare needed a place to Credit: public domain live, so he took up residence there. Logue died in 1826. Hare, seeing a golden opportunity, moved in on the widow, Margaret Laird Logue, and the two began living as husband and wife, with her using his last name as "the Missus". As she inherited the lodging house, Hare at least was assured a roof over his head. Margaret had one child by her first husband. She had another with Hare in 1828. She continued to take in lodgers while Hare kept his job working at the Union Canal. Meanwhile William Burke and Helen M'Dougall (living as common-law man and wife though neither was divorced from his or her legal spouse) moved into the Edinburgh neighborhood where Margaret Hare kept her lodging house. Although Burke had met Margaret a few times on trips to Edinburgh, it is unclear if he had previously met William Hare. However, Burke and Hare became friends very quickly. The pair stumbled into their criminal behavior purely by accident. Margaret Hare's lodging house had a dissipated old army pensioner named Donald as one of its tenants. This man died of Credit: public domainnatural causes; he owed the Hares back rent of £4 (slightly over $600 in US currency today). The chance to make good on their lost rent was handy. A casket was brought in for the deceased; Burke and Hare waited and then removed the corpse. They dropped a sack stuffed with tanning bark and other detritus to make up the weight for the dead man. The casket was taken away and buried, and Burke and Hare carted the pensioner's cadaver over to Edinburgh University, looking to sell it. A student at the university directed them to a Dr. Robert Knox who was giving private lessons in Surgeon's Square: he was an anatomist and always in need of corpses. They trundled Donald's body over to Dr. Knox's place of business. He asked only rudimentary questions about the corpse's origins – as the dead man was obviously aged, Knox readily accepted the truth of his natural demise. He paid Burke and Hare over £7 for this corpse; this was a fortune to these men (equal to over $1100 in US currency today). Once the two got a taste for this easy wealth they looked for opportunities to exploit. One of Margaret Hare's tenants was a miller named Joseph. He was very ill, and in November 1827 Burke and Hare invited him to a room in the boarding house where they plied him with booze before murdering him. Their method of dispatch was designed to cause suffocation, and to leave no readily identifiable marks of violence on the corpse. Hare sat on the floor at the victim's head and held him down as Burke kneeled on the man's torso, compressing his chest cavity so he could not draw clear breath as Burke covered his mouth and nose. This suffocation/pressing method of murder later became known as "burking". With a new corpse on hand, Burke and Hare went straight to Dr. Knox. Flush with success and cash, they waited for another victim. When there were no other sickly tenants, they decided to lure one in. In February 1828, an alcoholic pensioner ,Abigail Simpson, was invited by Margaret Hare to spend the night after binge drinking with Burke, Hare, and their women for most of the night. Credit: public domain She was smothered by the men and taken off to Dr. Knox's. He asked no questions and paid the men £10 (over $1500 today). Margaret Hare came to love this easy money as much as her "husband", and she invited a woman to the inn for drinks. She got the woman drunk, then sent for Hare to finish her off. Next up were two women lured in by Burke. These were street women named Mary Patterson and Janet Brown. He promised them breakfast if they would go with him to Hare's inn. Mary Patterson got so drunk she passed out sitting up at a table. Burke and his paramour Helen M'Dougall got into a terrific argument, however, and Janet Brown left when the row worsened. Burke knew a large beggar woman named Effie (from whom he occasionally bought leather scraps for use at his cobbler jobs) that he lured into the inn and killed with Hare. They received the customary £10 for her body. Their next victim was obtained by Burke as well. He took custody of a drunk woman a policeman was accosting, saying he knew her and would see her home. She ended up on Knox's table. The two after that were an old woman and her blind grandson (another source claimed he was deaf). The old woman was given an overdose of sleeping powder in whiskey from which she died. The boy met a different fate – Hare stretched him over his knee and snapped his back, killing him instantly. These two bodies netted the murderous pair £8 each (total of over $2500 today, their biggest haul yet). The next two were women of Burke's acquaintance, one of whom (named Ann) was a relative of Helen M'Dougall's. A former lodger, Elizabeth Haldane, came to the boarding house. She was down and out, and she asked Margaret Hare if she could sleep in the boarding house's stable. She was murdered and sold, and when her daughter, Peggy Haldane, came looking for her some months later, she was also killed and converted into cash as well. The murderous pair's lucrative enterprise had run smoothly and without suspicion for a good while. Barring the possible identification of the prostitute Mary Patterson at Knox's no one seemed to know the people Credit: public domainthey chose as victims. This was of course by design – the destitute and homeless rarely have anyone looking after them. Their next victim, though, was a fixture around Edinburgh and not so anonymous. James Wilson, a mentally retarded 18-year-old who shuffled around town with a limp, was known to the locals as "Daft Jamie". Burke and Hare planned his demise with their regular cunning. Luring him into their lair, an attempt was made to get him drunk. However, Daft Jamie refused their offers of whiskey, and he put up a tremendous fight when the men finally attacked him out of desperation. It took Burke's and Hare's joint efforts to subdue and kill him. They took Jamie to Dr. Knox's; almost every student who saw the body claimed it was Daft Jamie. They also knew, despite his limp and mental condition, he was in general good health. Although Knox denied this new arrival was the village idiot, he vigorously began his lesson by starting his dissections on the boy's face and tell-tale gimpy foot, destroying any chance of future identification. Jamie's mother, meanwhile, began making inquiries in the neighborhood as the boy had last been seen there. The final victim was an alcoholic indigent named Marjory Campbell Docherty. On October 31, 1828, Burke met her in a pub, and after learning her name lured her into his and Helen's Credit: public domain house by claiming his mother was also of Ireland's Docherty clan. He took Marjory in, but could do nothing more than keep her in a drunken stupor as there were too many visitors about. James and Ann Gray, staying with Burke and Helen as guests, sat around drinking with Burke and Marjory. He convinced the couple to sleep over at Hare's lodging house that night, and they finally left. Burke was able to kill Marjory at last. But she managed to struggle, and neighbors heard some scuffling coming from the boarding house. Ann Gray came back to Burke's house the next day; she had left her stockings by the bed where she and James had been imbibing the night before. Burke refused to let her near the bed, however, and Ann grew suspicious. Later in the evening when Burke was away she told her husband about the situation, and together they entered the room. They found Marjory's body stuffed under the bed. They immediately left the house to find police. On their way they ran into Burke's woman, Helen M'Dougall. Not knowing of her complicity in the ongoing enterprise they blathered about their discovery at the boarding house. Helen, however, tried to discourage their going to police, and she even offered them a £10 bribe. The Grays refused; had they accepted it they would not have lived long enough to enjoy their windfall. Certainly, Burke and Hare would have killed them rather than run the risk of discovery. Alerted by Helen, Burke and Hare removed Marjory's body from the house, using a tea-chest to convey her before police arrived. Burke and Helen then both averred that Marjory had been there but had since left. Under separate interrogations, however, Burke said she had departed at 7 AM while Helen claimed she had left the premises in the evening hours. The inconsistency was enough for police to take the couple into custody on suspicion. An anonymous tipster (probably a medical student) led police to Dr. Knox's classroom where they found Marjory Docherty's body prepped and ready for a lesson. James Gray identified Marjory. Soon enough, William and Margaret Hare were arrested as well. The year-long murder spree of Burke and Hare had come to an end. An Edinburgh paper, in the wake of the arrests, wrote on November 6, 1828, about different missing persons who may have been victims of Burke and Hare. Janet Brown, the prostitute friend Credit: public domain imagesof the murdered Mary Patterson, cooperated with police and was able to identify Mary's clothing from evidence they gathered at Helen M'Dougall's house. Unfortunately, there was little physical evidence linking Burke and Hare directly to murder. The only thing on the table at the moment was the sale of Marjory's body to Dr. Knox. Sensing he was the weaker of the pair, the prosecution put forth an offer of immunity to William Hare if he confessed and testified against Burke. Hare took The Crown's deal; his testimony led to Burke's conviction in December 1828 for three counts of murder (for Mary Patterson, James Wilson, and Marjory Docherty). Burke's sentence upon one point was routine – he was to be executed by public hanging. However, in an inspired bit of creative jurisprudence the sitting judge also advised Burke that his corpse would be subjected to dissection in the same way his victims were mutilated post-mortem. This was terrifying for those like Burke who superstitiously believed the body needed to be intact after death; otherwise eternal damnation would result. He was mortified by this codicil to his punishment. William Burke was hanged on January 28, 1829. Crowd estimates for this range from thirty-two thousand to forty thousand spectators. He was then publicly dissected at the Edinburgh Credit: Anatomy Museum of Edinburgh Medical SchoolMedical College; so many wanted to see this event police had to be called in for crowd control. The professor who conducted the dissection dramatically dipped a quill pen into Burke's blood. He then wrote on a sheet of paper, "This is written with the blood of Wm Burke, who was hanged at Edinburgh. This blood was taken from his head." Burke's skeleton was cleaned of all flesh. It was articulated, and it hangs in a glass case for public viewing at the Anatomy Museum of Edinburgh Medical School. His death mask and items made from his tanned skin as curios are displayed artifacts as well. Helen M'Dougall's complicity in the murders could not be proven, so she was set free. She went back to the house she and Burke had shared but she was attacked by an angry mob. After this, only speculation about her remains. She most likely went back to her immediate family. It was rumored she later burned to death in a house that took fire in New South Wales (Australia) in 1868. Margaret Laird Logue Hare similarly escaped lynching when she, too, was acquitted of complicity. Her whereabouts afterward are also the subject of speculation. She reputedly returned to her home country of Ireland. Daft Jamie's mother tried to bring an independent charge of murder against Hare but was not successful. Hare was released per the conditions of his plea agreement in February 1829. His movements then are likewise not known for sure, and there have been many tales of his being beaten and blinded by different mobs over time. However, the only certainty is that he was last sighted in Carlisle, a town in England. 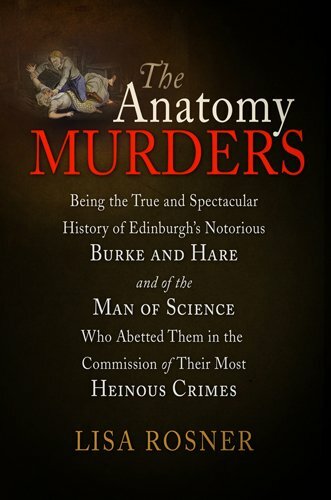 Despite his providing a financial incentive for Burke and Hare to commit sixteen murders, Dr. Knox was not prosecuted. Burke made two detailed confessions between his conviction date and Credit: public domainexecution. He advised that Knox knew nothing of the cadavers' origins and was blameless in the crimes. Knox never spoke publicly about his dealings with Burke and Hare, either. He continued buying corpses from Edinburgh body-snatchers while lecturing on anatomy. In 1832 a law was passed making corpses more available for research and teaching. Dr. Knox's livelihood suffered as students no longer needed to come to him for anatomy lessons – corpses were now widely available through legitimate channels. An editorial about the new law claimed it was Burke's and Hare's criminal activity that led to the law's passing. Now, there was no longer an incentive for body-snatchers. Dr. Knox suffered professionally from the notoriety he had garnered. Applications for formal positions to the esteemed Edinburgh Medical School were rejected. Public outrage against him was so great he finally left town and took up his trade elsewhere. He ended up practicing medicine in a London cancer hospital. He died in 1862. The body-snatching (rather, "body-creating") crimes of Burke and Hare have formed the basis for dozens of horror and suspense novels and movies, most recently in a big budget feature-length film released in 2010 called Burke and Hare. Their crimes tend to be confused with grave-robbing. Neither ever turned over so much as a spadeful of dirt in pursuit of their avocation. They did rob their corpses of what pitiful few possessions they had, but the real value was in the shell bereft of life. The human body carried a very lucrative price tag, one too great for these serial killers to resist.